DXL offers full service bathroom design and construction services for homeowners throughout Fairfield County and the surrounding areas. 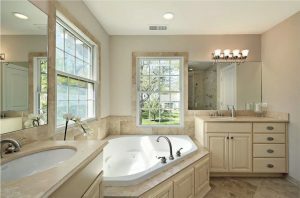 Our team of highly trained and qualified home remodeling contractors will work closely with you, taking your ideas and vision and turning them into the bathroom of your dreams. We have the capacity to handle each phase of the project, from assisting you in choosing the best possible design and fixtures, through the installation and cleanup. Contact us today through the form below or call us directly at (203) 482-1692 for a no-cost consultation.